Where yoga is for Everyone! the study and practice yoga. Voted Best Yoga Studio in Monterey County 8 years in a row! Our experienced and well-trained team of instructors offer classes for all levels of yoga practitioners and for the new to yoga. 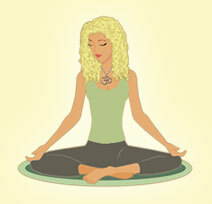 The yoga postures are taught in a safe, supportive manner, incorporating the basic principles of alignment. Yoga props are available at both studios and are offered in class to modify, support or teach a pose. Through the practice of yoga we can gain flexibility, strength, breath and body awareness. From that awareness, a new healthy lifestyle can be achieved. We offer group classes, private instruction, a variety of workshops throughout the year and teacher training. Visit our blog for the studio news and updates, then take some time to share your thoughts and comments with us. Give the gift of yoga to your loved ones! Gift certificates are available for purchase at the studio or by calling 831-899-YOGA (9642). New students - 10 day unlimited yoga pass for only $30!